Editor’s Note: This article originally appeared over at Lehigh Valley Vanguard, a new progressive visual and literary publication based out of Easton, PA. Marlana Eck is the founder and Editor of the Lehigh Valley Vanguard. Be sure to check out their full site and give them some love. 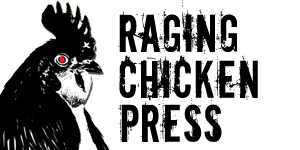 The Lehigh Valley Vanguard is sponsored by Raging Chicken Press. Marlana originally published this interview on April 7, 2015, but we wanted to re-post it today given the number of actions happening around the region and across the country today in support of a $15/hour minimum wage. Robert Reich’s 2014 documentary, Inequality for All. 15now’s Philly branch has recently organized a chapter here in the Lehigh Valley. Most working class people can attest to the abysmal disparity between the cost of living and wages. Robert Reich pointed out a few years ago, in his documentary Inequality for All, how cost of living has exploded, yet working class people are making about the same as the 1970s. I’ve heard estimated the living wage for working class individuals would be closer to $22 per hour. Drew Mattei spoke with me after doing a significant amount of work in Philly for 15now and returning to the Lehigh Valley to organize a chapter for the ABE area. Marlana: You are originally from Bethlehem. What was one of your first thoughts on what needed to be done back at your home base for 15now? Drew: I was quite stunned, I hadn’t really dug through the numbers, but I wasn’t expecting to find that Allentown has a higher poverty rate than Philly, including a higher a deep poverty rate. Philadelphia looks like it’s been bombed in many places (and indeed it actually has been at least once). Marlana: Raising the wage is an important initiative going on across the U.S. right now. What are some important facts we should all know about the push for a higher minimum wage? Drew: $15,080. Everyone should know that number, because that is the amount that a person working 40 hours a week, 52 weeks a year will make on the current minimum wage of $7.25 an hour. Who really thinks that a person can support themselves, let alone anyone else on that kind of wage? That isn’t a living wage for one person, for a single parent and child that will most likely have them living in poverty. In fact, the living wage for Lehigh Valley cities is $17.95 for a single parent and child, and that’s still someone who isn’t saving for retirement or building financial stability. Even $15 an hour is not going to support a single parent and their child! This is also an issue that affects a huge number of people in the Lehigh Valley. Allentown has a poverty rate of 27.8%, more than twice the state poverty rate, and even higher than the poverty rate in Philadelphia. This is an especially troubling figure as Philadelphia is the poorest major city in America. Easton’s is 23.3%, and Bethlehem’s is 19.7%, still well above the rest of the state. There’s a lot of facts that can be thrown around when it comes to discussions about the minimum wage, but I think we really need to look at the deeper problems here. Working people have been systematically robbed of their voice, while the ruling class builds extreme power and wealth. Advancing the issue of low wages is a direct challenge to politicians, exposing where their true interests lay; it is a direct challenge to unions and other “progressive” organizations to get radical or be left behind by the working class they are supposed to be uniting; and it is a direct challenge to the very serious inequality we face. If working people rise up and demand a better world and they are denied, then it can expose for many the true nature of the system. Low wages are one of the more powerful and obvious ways that the working class is oppressed, but our current economic and political system is the root of this oppression. 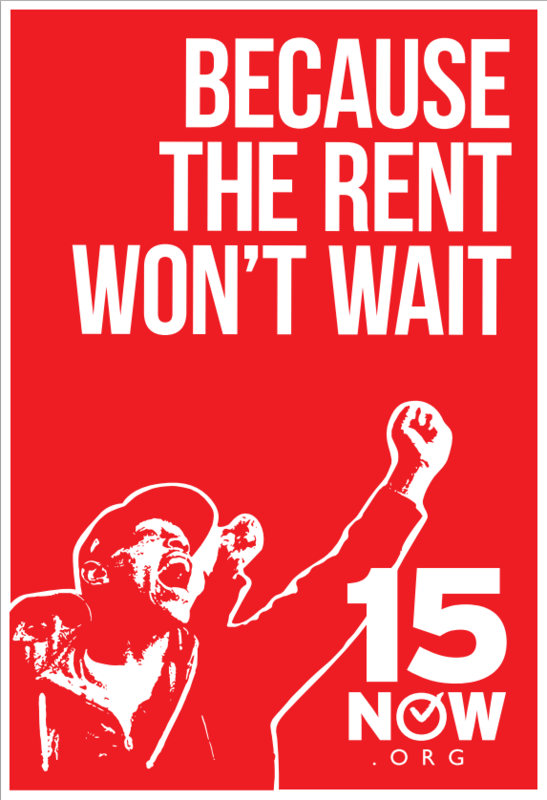 Unlike SEIU’s campaign, or most mainstream campaigns of this type, 15now is anti-capitalist. 15now began as a campaign by Socialist Alternative in Seattle, Washington, spearheaded by socialist city council person and Socialist Alternative member Kshama Sawant, and it carries the political perspectives of that organization. A $15 an hour minimum wage is a transitional demand, aimed to unite working class people and create momentum for more significant change. We believe that revolutionary change can occur once we unite and build through fighting for evolutionary change. 15now seeks to build lasting momentum by giving workers an opportunity to uplift themselves and build connections that can last beyond just the fight for $15. We are separate from Fight for $15, which is SEIU’s campaign. As far as I can tell they are not active or interested in the Lehigh Valley, so it seems unnecessary to elaborate on the relationship between 15now and them for now. Marlana: How can we actively help raise the minimum wage? Drew: In Pennsylvania, this is tricky question. It’s not a very straightforward process here, since we lack a ballot initiative process, for both municipalities and the state. We’d love to vote ourselves a raise, but unfortunately we have to do things the hard way. We also face a preemption in the state minimum wage law that effects how municipalities can change their minimum wage. The best thing that can be done is to build popular momentum that can actually threaten politicians, and to build with that organizations that can direct that momentum to maximum effect. We need to put pressure on the state government to repeal the preemption, and more strongly consider raising the state minimum wage, not just to $10.10. To be honest, the area seems like it needs a pretty serious shift in the political climate for local action to be effective. There seems a trifecta of apathy, prejudice, and backwardness holding people down. Most people in the area, even activists it seems, don’t know their elected officials. Philadelphia has more openness for democratic participation than the Lehigh Valley. No one wants to be worse than Philadelphia at anything, especially democracy. There is a need to challenge the extreme racism in the Lehigh Valley that is directed squarely at the latino/a population by the white working class. Considering that the Allentown is actually majority non-white, this represents a very serious (one could say successful) divide of the working class. Marlana: In particular, what are some things your branch of 15now of Lehigh Valley needs to make a bigger impact? Drew: This is a true grassroots organization, not some astroturf campaign, we don’t have big money behind us, so what we need is working class, progressive and activist people in the Lehigh Valley to join us in this fight. Spread the word, let supporting friends, family, and community know. 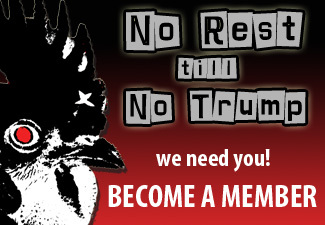 Above all, we need people to contact us and get involved! We only work if people are willing to volunteer their time and energy. It will be hard to find a way to make a bigger difference in the world right now. A successful campaign in Pennsylvania will make a huge difference in the lives of millions of people in our state alone. We are now familiar with Chris Rock’s bit about how minimum wage is another way of saying “hey, if I could pay you less I would, but it’s against the law.” Let’s change the law to protect those, who in their good naturedness, still believe in hard work and America. Contact Drew to get involved with 15now and visit the Lehigh Valley branch website for more information.